Gastrodome is a restaurant operator since 1999. Restaurants that are manage by Gastrodome includes 6 La Bodega restaurants and bars in KL, Telawi Street Bistro and also Ozmosis. 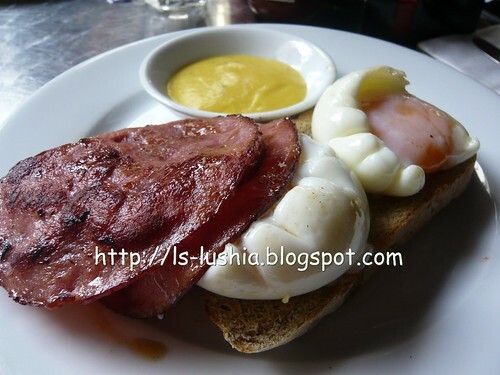 And, La Bodega @ Pavilion KL is the outlet that I have picked to do breakfast this week, as it is one of the outlet that starts operating at the earliest time which is from 7 a.m. But, breakfast sets are available only from 9 am to 3 pm. "BIG" breakfast is too big so we opted for English breakfast and the allows us to try something elses later. 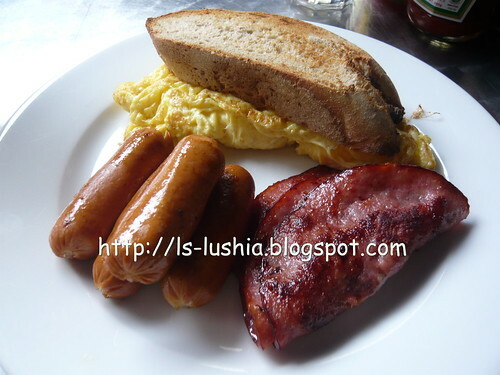 As for English breakfast, it is serve with a slice of home made toast, a glass of fruit juice and a cup of coffee with two farm eggs- cooked to order (your prefered way of eggs being cooked) and choose any 2 items from beef bacon, smoked chicken ham, chicken sausages, sauteed mushroom, grilled tomato, baked beans or has browns. Like the chewiness of the sausages and the smoked chicken ham were well preserved and then grilled to perfection. Aromatically saltish and flavorful! Any juice and you name it! As long as is is available- Orange, Apple, Carrot, Guava, Watermelon etc. For the next set of breakfast, I ordered Eggs Benedict - two poached eggs on toast served with smoked chicken ham and hollandaise sauce. Hollandaise sauce, something new for me this time. It's creamy with strong butter taste and slightly sour but good! 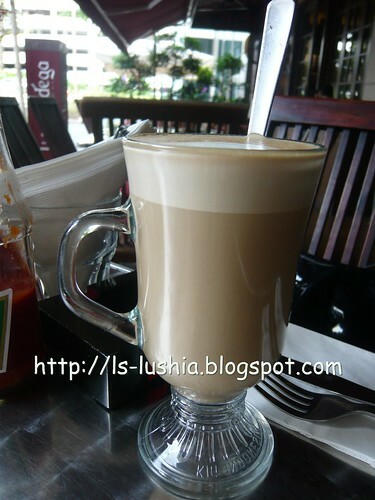 Drinks are not included in the Eggs Benedict breakfast set, Ordered a caffe latte to go with it! 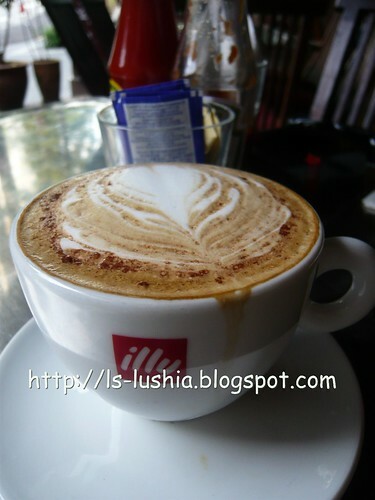 So, would you do your breakfast at La Bodega on the 19th week of Year 2009? It's a good one.....breakfast was good and I totally buy the environment here! Saw all the pic from La Bodega looks delicious. Which one is the preferred menu? Hi Senthamil, myself preferred their breakfast set. Tried their Tapas just nice! 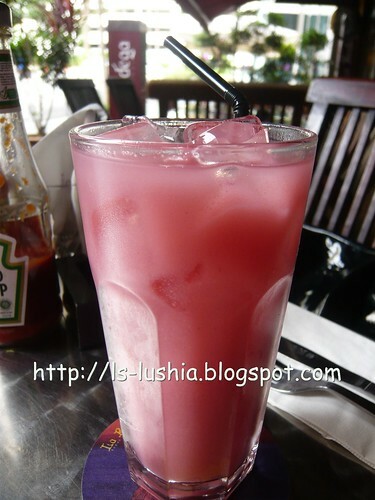 My preference- for Tapas Sentidos @ Starhill!